Buying a car can be one of the most expensive purchases you'll ever make. Because most people don't have enough cash saved to buy a new vehicle, they often turn to auto loans to finance the purchase. But, the interest rates and monthly payments on a car loan can eat up a lot of your budget. 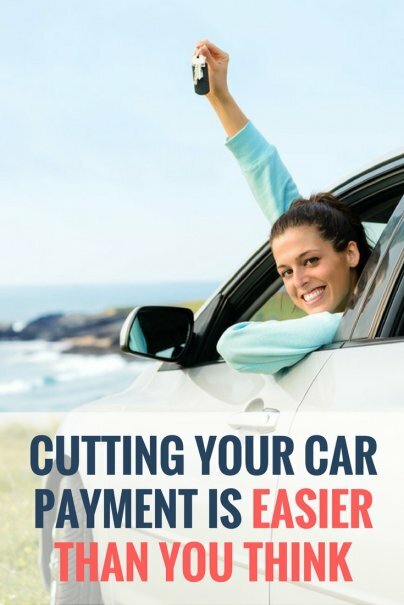 In fact, Experian reported the national average payment for a new-car loan is $509. If you have not-so-great credit, that payment can be even higher. And, you'll pay hundreds or even thousands more in interest. When you purchased your car, you took out a loan through the dealership or bank for the amount you paid. At that time, you agreed on the loan amount, interest rate, repayment term, and monthly payment. By refinancing, you change all of those terms. When you refinance a car loan, you apply for a new loan with a bank or credit union. Depending on your credit, you could get a new loan with a lower interest rate or smaller monthly payments. Refinancing makes sense when you are struggling to keep up with your payments. By taking out a new loan with a longer repayment term, you can dramatically reduce your monthly bill. You'll pay more in interest over time, but extending the loan's payment period can give you necessary breathing room in your budget. Or, if your goal is to become as debt-free as possible, refinancing can also help you save money and pay off debt sooner. With a lower rate, more of your payments go toward the principal rather than interest. The average interest rate for a used car loan is 8.88 percent, according to Experian. However, if you have bad credit, rates have been reported as high as 29.99 percent. When you need a car right now, such as when you need transportation for a new job, you might not give much thought to the interest rate. But that high rate can cost you. Let's say you have poor credit and you buy a used car with a $10,000, 72-month loan at 15 percent interest. Your monthly payment would be $211. However, that high interest rate would cause you to pay back $15,224 in total — more than $5,000 over what you originally borrowed. If you improved your credit and were approved for a refinance at just 8 percent interest, the savings would be significant. If you kept a 72-month term, your monthly payments would be reduced to $175 a month. But, even better, you'd pay back just $12,624 over the length of your repayment. Refinancing your loan would save you $2,600. Each bank has its own eligibility requirements, but in general, lenders require your car to be relatively new. Many will only work with you if your car is less than 10 years old. There's usually a minimum amount you can refinance, so if you only owe a few thousand dollars on your car loan, it might not be the right option for you. Most lenders also require you to be current on your payments. If you're behind, you'll have to get back on track before you are able to refinance. If you got stuck with a high-interest loan due to poor credit earlier on, refinancing your car loan can be a smart way to save money, cut your payments, or pay off your debt faster. Make sure to compare offers from multiple banks or credit unions to get the best possible loan terms.